Taho is made out of fresh soft/silken tofu, arnibal (a flavoring and sweetener) and sago pearl. Taho is also a famous Filipino snack food that you can buy from taho vendor every morning in different places. It is uncommon is when a seller grants it for free. 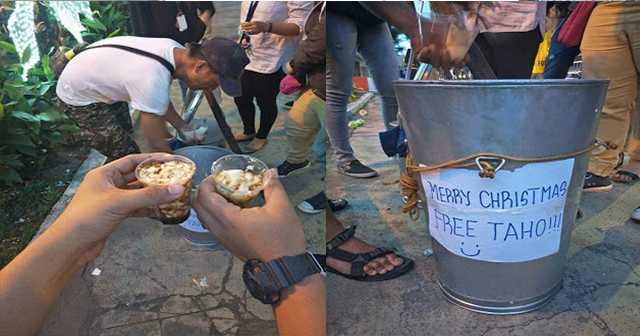 Vince, a Facebook user, shared his encounter approximately getting his free taho from a kind-hearted taho merchant. 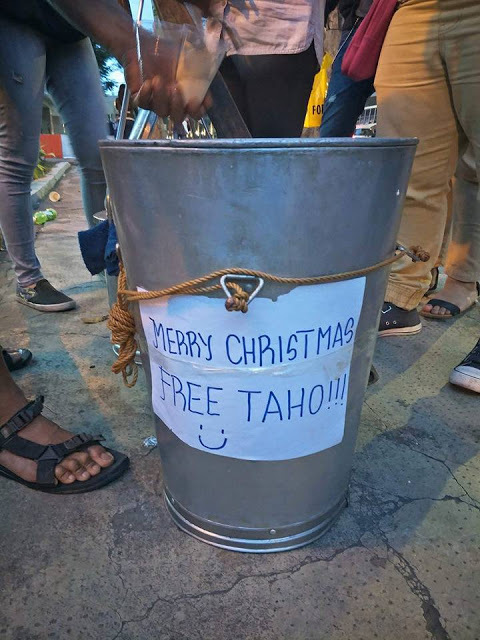 "It's usual to see and hear a taho vendor every morning of our lives, but what's not usual is to see a taho vendor giving free taho. Hot drinks or foods are somewhat a must and a cold and stress reliever for most if not for everyone who were inside the office, taking in calls on a graveyard shift for 8 hours or more. And then there's Kuya who's always infront of the office selling taho everyday, every fkkkng day, not noticing he has a good heart within. 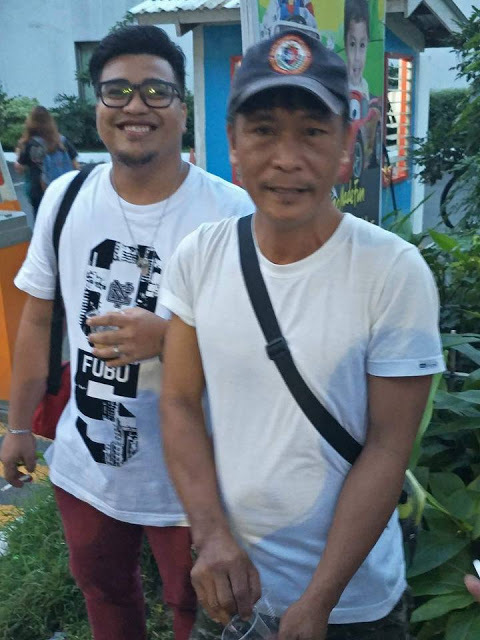 Considering that he has to wake up early and prepare stuff to be infront of the office as early as 6am, and despite of having a not so big income, this good samaritan manages to share blessings and show some love to someone he doesn't know personally and even by name. +according to some tenured employees he's been doing this since 2009. More cheers to kuya!" Indeed, that was an early Christmas blessing from somebody you don't know, and it just shows the true essence of Christmas. It's about giving, sharing, and spreading love to everyone! What are your thoughts on this article? Share us your opinion by leaving a comment in the comment section.